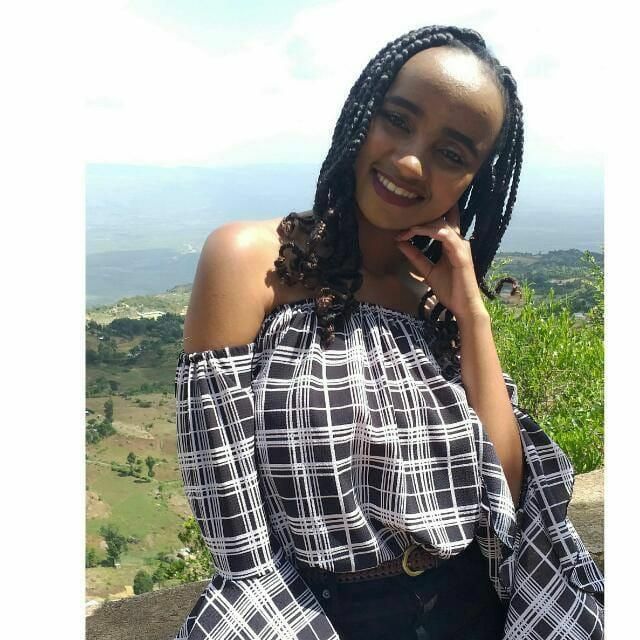 A sixth year medical student Moi University has been killed in cold blood by a man alleged to be her boyfriend at the Moi Teaching and Referral Hospital in Eldoret. 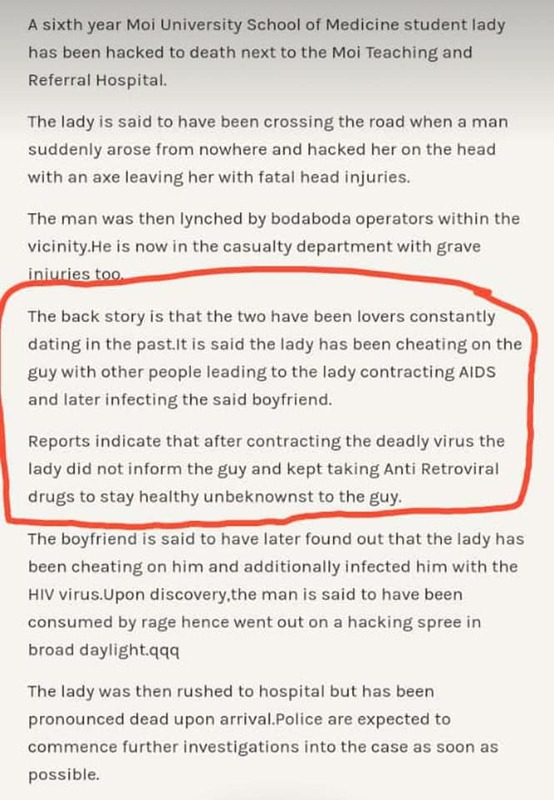 The deceased identified as Ivy Wangeci, was hacked to death in broad daylight by an outsider who claims to be her boyfriend. The assailant used a hand axe to hit her on the head and tried escaping but was nabbed by Boda Boda operators outside MTRH. According to witnesses, the man had concealed the weapons in a gunny bag to avoid suspicion when accessing the hospital. The motive behind the macabre murder is yet to be established. The suspect; 28-year-old Naftali Njahi Kinuthia was arrested & is helping the Detectives in the Investigations. See photos the student below. Previous articleSee what Governor SONKO did to the first ever UoN students President because of her stunning beauty in his office? Hii ni fisi ingine!